MOU entered into with Madurai Productivity Council to operate its student chapter from SRI KALISWARI INSTITUTE OF MANAGEMENT. All MBA students are enrolled as members. The chapter is vibrant with workshops, industrial visits & guest lectures. Madurai Productivity Council organised a one day workshop on "Employability Skills & Team Building on 6th February 2018. A team of experts from MPC addressed the students. Mr.G.Subramaniam, President, Madurai Productivity Council (MPC) gave an orientation about the MPC student chapter and discussed about the uniqueness of MBA programme. 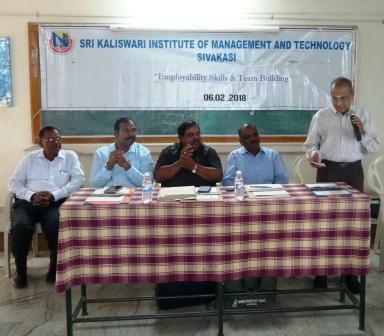 Prathap Sethu, Corporate Trainer addressed the students on Employability Skills. 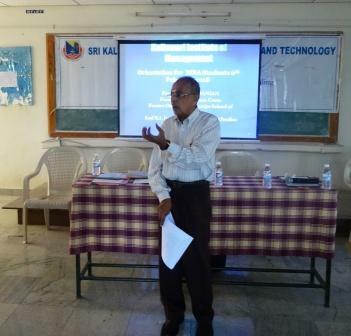 Mr.R.T.Swamy, Director, Kalasalingam University, Krishnankoil gave tips for success in interviews. 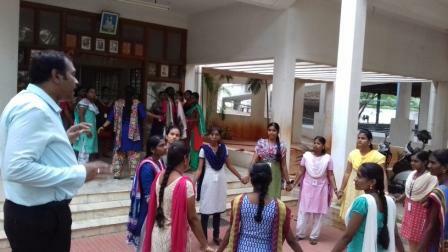 Mr.Nagarajan, Secretary, Madurai Productivity Council, interacted with the students on the topic ‘Team Building’.